Congressional Deal Upends Pot Legalization in D.C.
Elected officials and drug-policy advocates hoped to make the nation's capital the first place on the East Coast with legal pot. They wanted to use the District of Columbia as further encouragement for states to make their own marijuana laws, and they were optimistic that Congress wouldn't intervene, pointing to a Republican caucus that's far from unified against pot. Those hopes were crushed late Tuesday when Congress reached a $1.1 trillion spending deal that bars the District from legalizing marijuana. The move by Congress followed a familiar playbook when District leaders try to enact social policies that conservatives on Capitol Hill disagree with. Rather than trying to vote down the pot initiative - which Congress has the power to do - opponents placed language in an essential spending bill that would prevent the city from spending any money to enact it. Voters in the District approved the marijuana initiative in November by a nearly 2-to-1 margin. 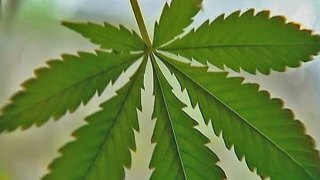 Alaska and Oregon also voted to legalize pot, and drug-policy advocates are planning to push legalization initiatives in California and several other states in 2016. The drug is already legal in Colorado and Washington state. The District's initiative would allow possession of up to 2 ounces of pot or up to three mature plants for personal use. It doesn't address the legal sale of marijuana, leaving it to the D.C. Council to pass a tax-and-regulation framework. Barring any last-minute changes to the language of the spending bill, all that would be on hold at least until next September, when the bill expires. Eidinger said there was still time to tweak the bill, and activists were planning protests outside the office of Senate Majority Leader Harry Reid on Wednesday. But support from the top leaders in the House and Senate appears to guarantee its passage. The District would be left with the recent status quo when it comes to pot. The city decriminalized possession of the drug this year. People caught with small amounts of pot are now subject to a $25 civil fine, one of the nation's lowest. Rep. Andy Harris, a Maryland Republican and an anesthesiologist, tried unsuccessfully to block the decriminalization law, arguing that it would make pot more accessible to young people, whose developing brains can be harmed by the drug. "I am glad Congress is going to, in a bipartisan way, uphold federal law to protect our youth by preventing legalization in Washington, D.C.,'' Harris said in a statement Wednesday. Even after the District decriminalized pot, activists continued to push for legalization in the context of racial justice, pointing to police statistics that show most of the tickets are being handed out in majority-black neighborhoods. Before decriminalization, studies showed that more than 90 percent of those arrested for possession in the District were black. Del. Eleanor Holmes Norton, a Democrat who represents the District in Congress, said the bill's language contains a potential loophole that would still allow legalization to take effect while blocking the city from taxing and regulating the drug. Drug-policy advocates did find something to cheer in the spending bill, noting that it protects states with legal medical marijuana, including the District.